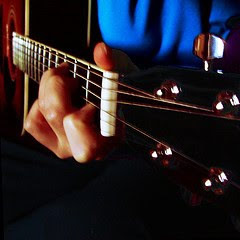 As you learn guitar you naturally memorize the chord progressions of songs you play. But did you know you can benefit from learning the chords of songs you don't play? When you learn the chord progressions of songs you hear but don't play you develop your musical ear and teach yourself a lot about song structure. That will help you become a better guitarist. As you go about life you hear hundreds of songs. You can almost certainly hum along to many tens of these, maybe more, without much trouble. But do you know the chord progression you are humming? Probably not, except for the few songs you actually choose to learn and play. But with the Internet you can easily look up the chords for songs you are familiar with and learn those too. You don't have to learn how to play all the songs, simply memorize the chord progressions of songs you frequently hear on the radio or in your music collection. This takes less effort than actually learning to play them all. Go ahead, even if they're not your favourite songs and you have no intention of playing them. It takes only a few minutes to look up the chords, identify the progression and memorize it. Do this regularly and you'll build yourself a library of chord progressions with example songs. You'll be able to hear what they all sound like simply by recalling a song in your mind. This knowledge will improve your ability to recognize songs by ear. It also gives you the knowledge of song structure you need to create your own songs and express yourself musically. So get started building your mind's chord progression library today. Photo by The Alieness GiselaGiardino.